Placed on a panoramic hill, Massa Marittima is the most important site of the metalliferous hills, whose name derives from the nature of this area which is rich in minerals such as copper, iron, zinc and silver pirite. The medieval town is of Etruscan origin, as evidenced by many objects, tombs and archaeological excavations carried out at the Lake dell’Accesa. Some remains however date back to the Roman period. After a period of splendor when the mines become an economically important source – and the town was named “Massa Metallorum – it underwent a period of decline under the rule of Siena. The situation changed with the Medici family and later with Aldobrandeschi. 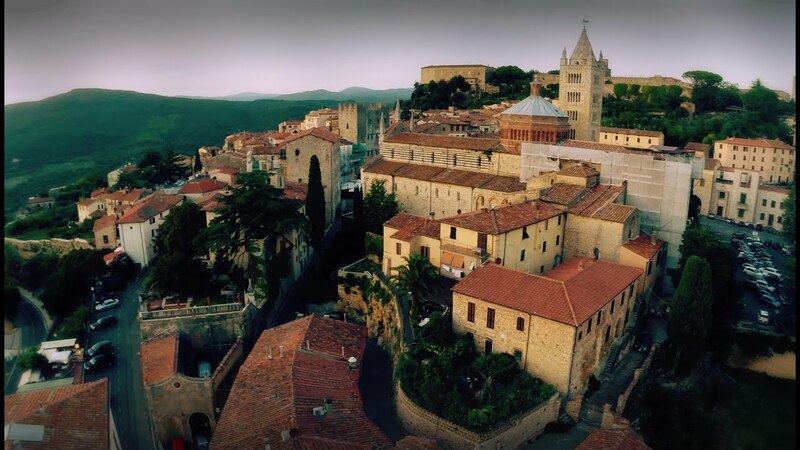 Even today Massa Marittima offers its visitors the image and atmosphere of an ‘ancient medieval town. Protected by mighty walls, the main square is still the centre of economic , political and religious activities. In summer you can take part in many events such as the Archery Gerfalco, a traditional historical parade in costume, the opera season or Fotofestival.